Good college. Management should focus on placements. Well equipped Labs. All the faculties should try there level best for student sake. The management and all is very bad it has to b improved a lot . government has to take initiates to do the needful. Only one scholarship is available per studentanother building is under progress this time the principle is good and prospectus to do all type welfare achievements to collegehoping to get placements for this yearstrict and friendly teachers are available. Government Sri Krishnarajendra Silver Jubilee Technological Institute, Bangalore, affiliated to Visvesvaraya Technological University, Belgaum, Karnataka State, was established in 1938. The two statesmen Sir Mirza Ismail and Sir M. Visvesvarayya, were responsible for the construction of this edifice as a mark of celebration of 25 years of benevolent to commemorate the Silver Jubilee of an eventful reign of Late His Highness Nalwadi Krishnarajendra Wodeyar Bahadur, Maharaja of Mysore. 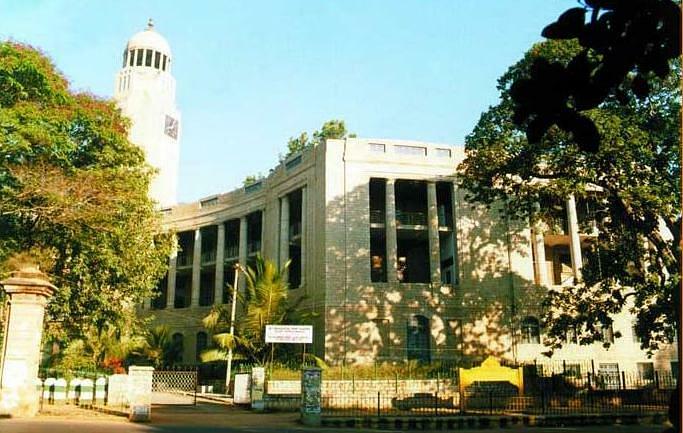 This institution being the first of this kind in South India with a view to provide well trained personnel for higher rungs of the organized textile industry covering various facets of the industry, is growing in its heights year after year and today it can claim to be the tallest institution and is under the control of the Department of Technical Education, Government of Karnataka. The B.Sc. (Textiles) was commenced in 1946, and in 1973 It was changed to B.Tech. (Textiles). M.Tech. (Textiles) was commenced in 1970. B.Tech. (Silk Technology) was commenced in 1991. The Institute is recognized as Ph.D., Centre for Textile Technology from the academic year 2007-08 by the Visvesvaraya Technological University, Belgaum. Institute has an alumni association and also is the center for conducting activities of the Textile Association (India), Karnataka Unit. The Alumni of the Institute has spread all over the India in Industry, Research Organizations, Government Service and other related fields. The Golden Jubilee and Diamond Jubilee of this institute was celebrated by the Alumni Association on a very grand scale and many of the past students from different parts of the country and from abroad had participated on the joyous occasion. Extra-Curricular Activities: The students are encouraged to participate in inter and intra college sports and other activities. Every year on September 15, Engineer's day is celebrated at the college front lawn which consists of a tall statue of Dr.M.Visvesvaraya (inaugurated by late V. V. Giri, Honorable Prime minister of India). TEQIP:This institute has been selected under Technical Education Quality Improvement Programme (TEQIP-II) of Department of Higher Education, Ministry of Human Resources Development, and Government of India. The college is covered under sub-component 1.1 of TEQIP-II Phase and the Institute has received a grant of 2 crore towards first installment. Library: Library has got a collection of more than 12000 books. National and International Journals have been subscribed for the benefit of Students. Hostel: A hostel is having 33 rooms with Mess facilities for boys. Girl students are accommodated in adjacent Govt. Women's Polytechnic hostel within the campus. KCETCET fees is 18090 college fees 4000college fees less compared to other collegesit is the only govt college in bangaloree&c branch is good and strict.